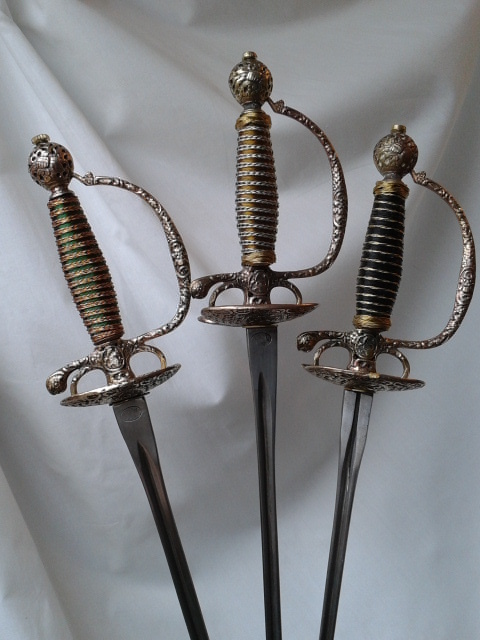 Early in 2011, after months of interviews, searching web sites and looking at portfolios, Jacob's Armoury awarded the commission of fabricating parts for the first Jacob's Armoury small sword (below right) to a foundry in the Scottish Highlands. 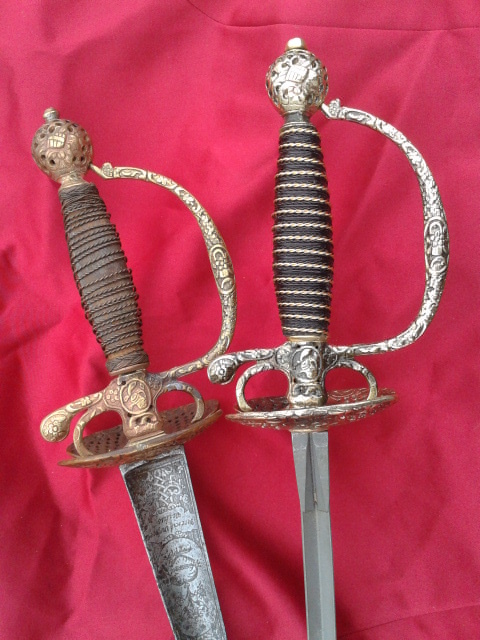 Working closely with our man Mike we were soon producing a faithful replica of this beautiful French small sword from our collection (below left). 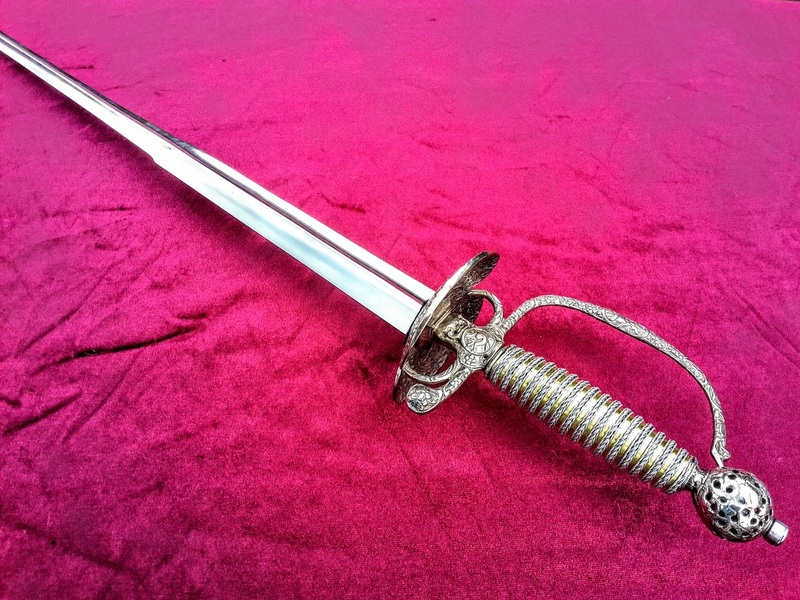 We owe a debt of gratitude to Robert Hugh Wrightson who, during the International Small Sword Symposium of 2012, found a date of 1766 inscribed on the blade. 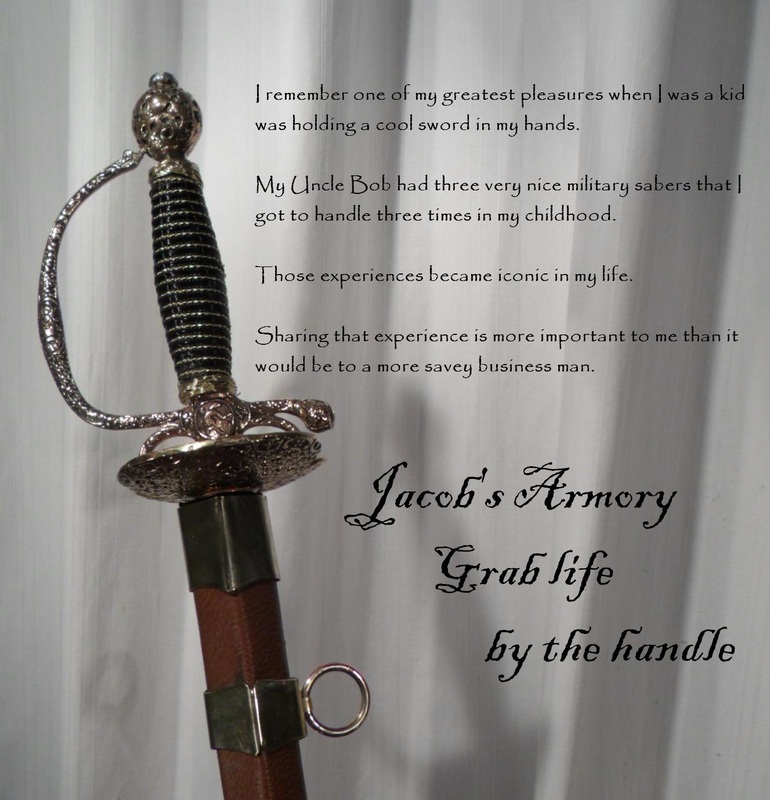 Jacob's Armoury produced Small Sword No. 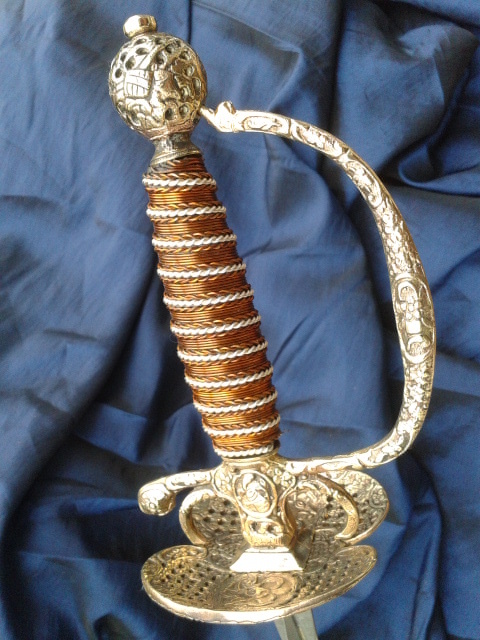 1 from 2012 to November 2016 in brass and German Silver. 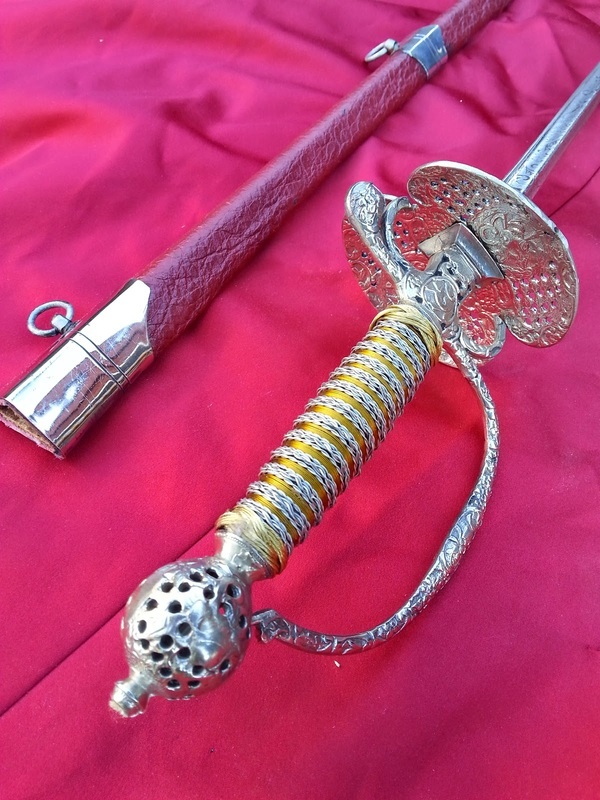 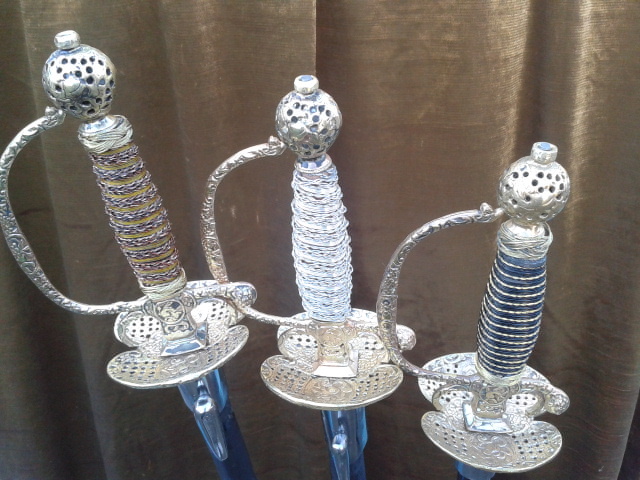 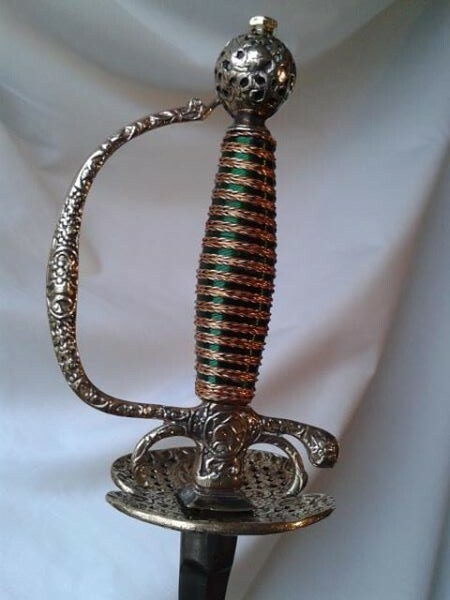 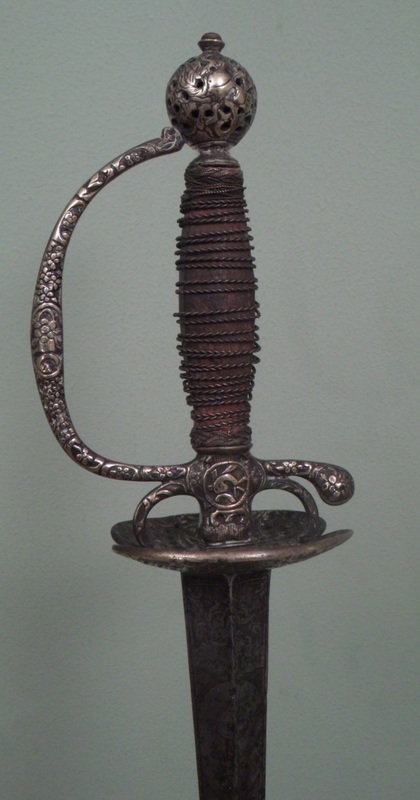 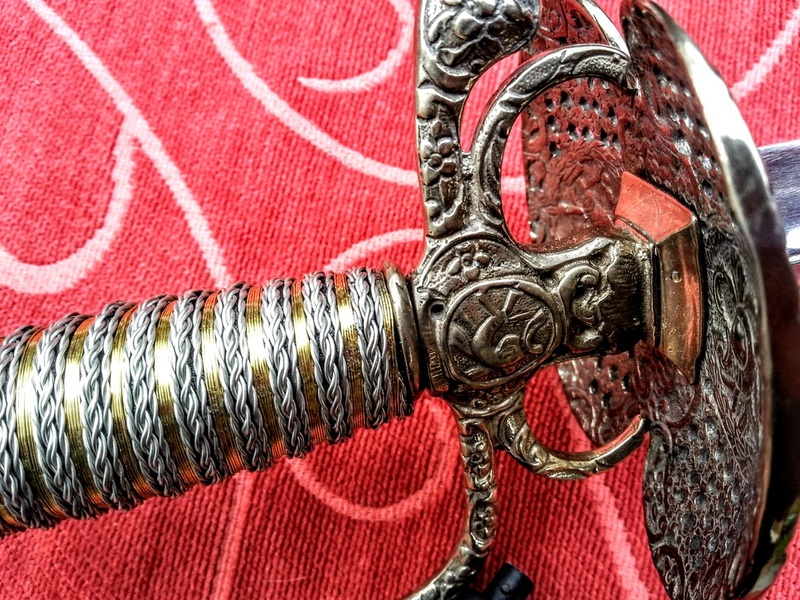 It sold for £350 without scabbard and remained one of our most popular exports. 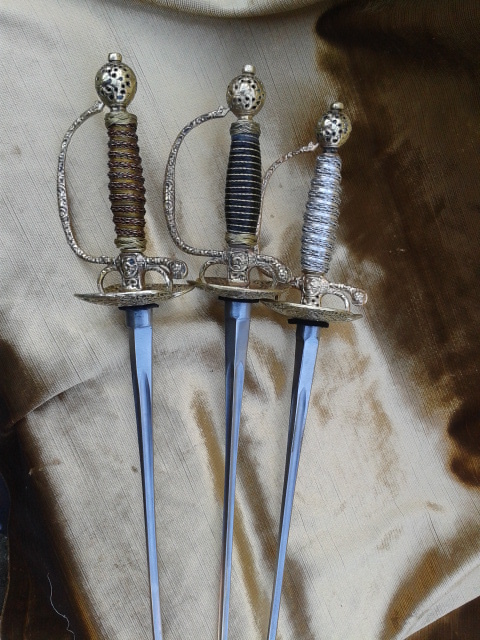 In 2015 we rented the weapon on the left to the production of Outlander. 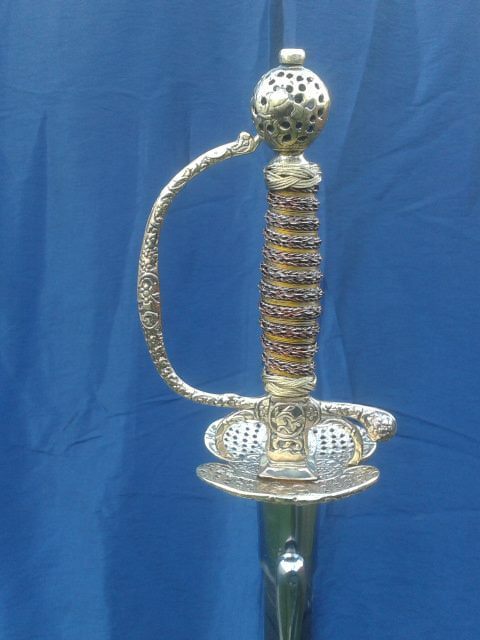 It is worn by King Louis in season two and now resides back in our collection. 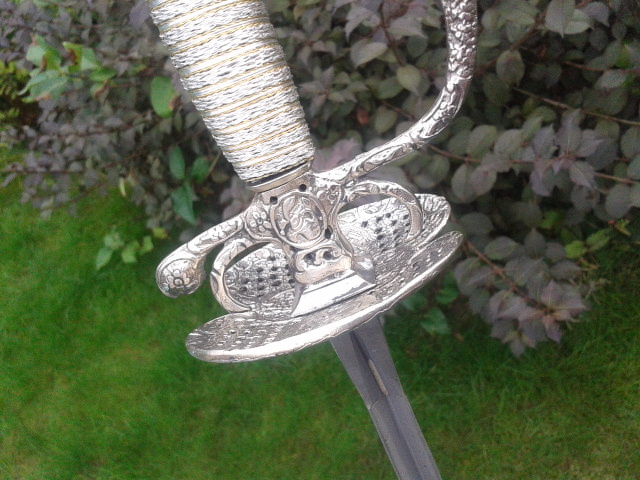 This grip is called the Black Mamba but we can do lots of different things. 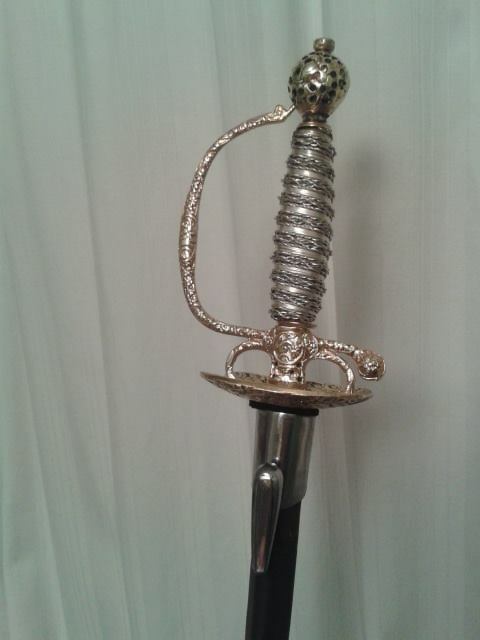 In fact every grip is custom made. 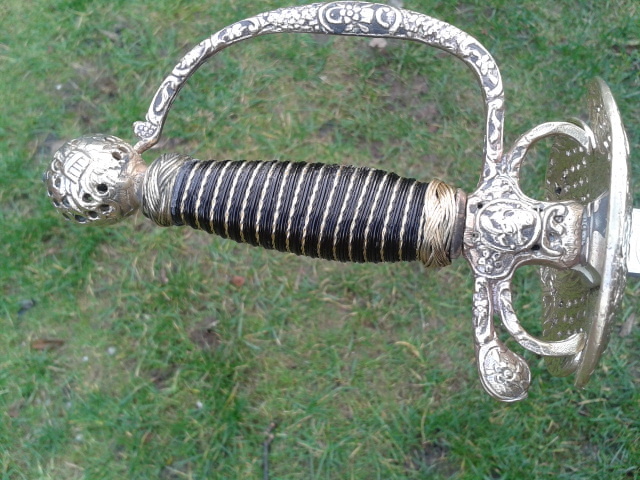 The Jacob's Armoury Small Sword No. 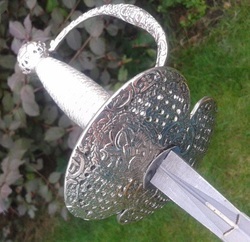 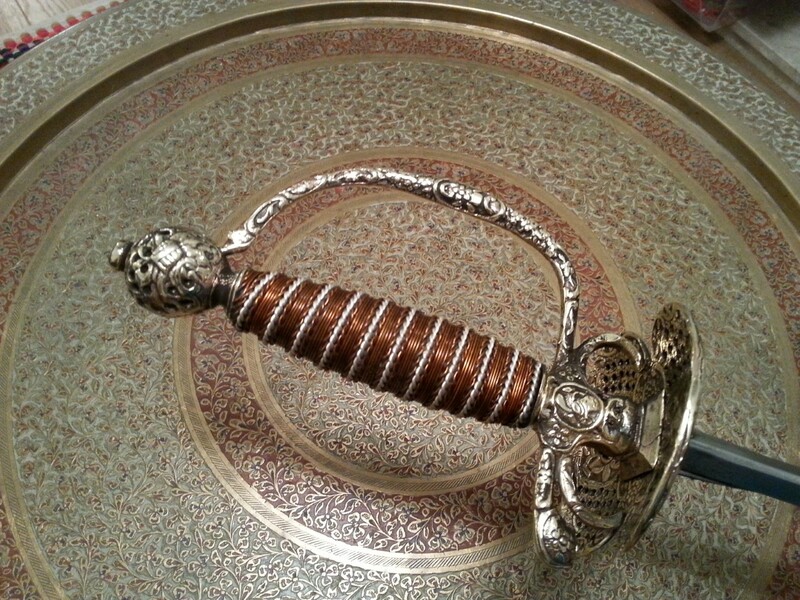 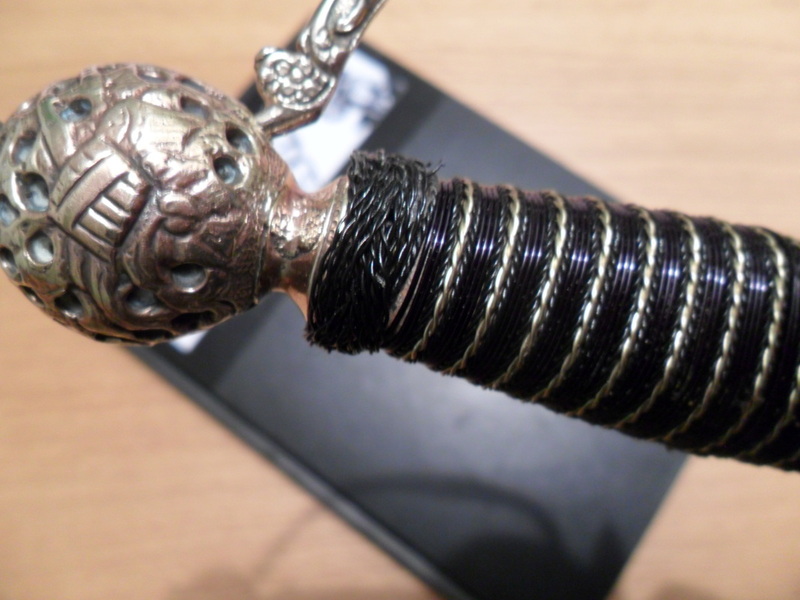 1came with a custom grip and could be ordered with a fencing epee blade in number 5 size or number 2 size (which more closely replicates the length of a real small sword) or with a double wide epee blade. 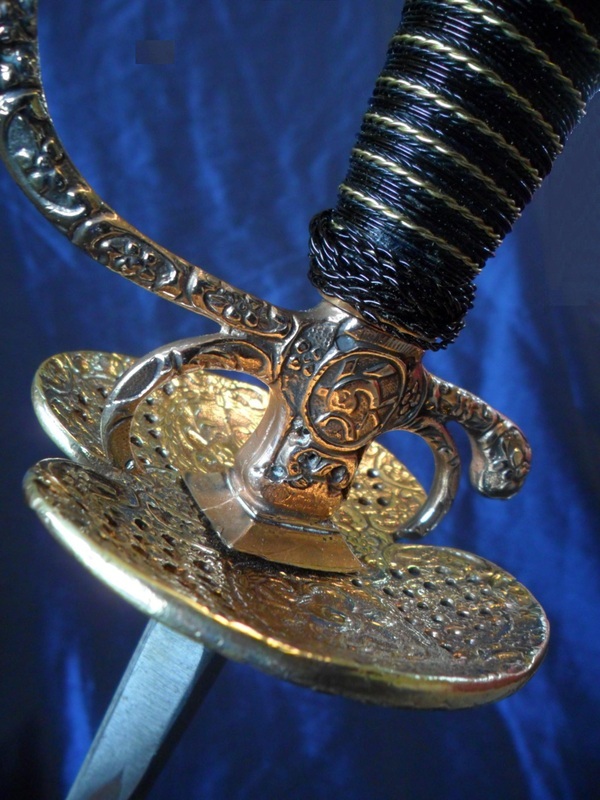 For an additional price we also provided scabbards rigged for hanging from a belt or through a frog. 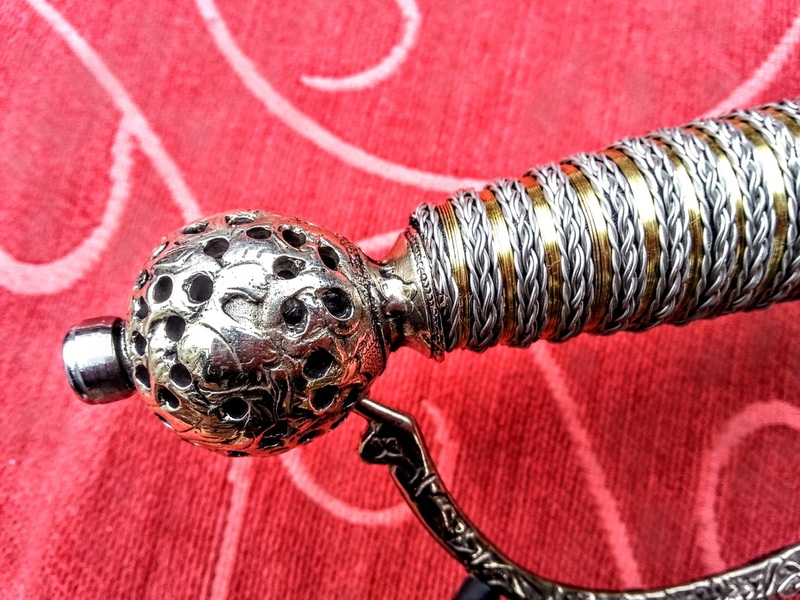 Pierced pommel and Turks head knot. 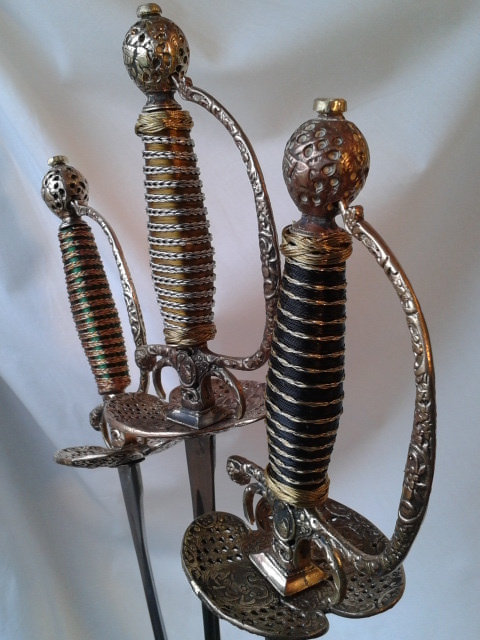 Below: the original left and one of my recent reproductions beside it.